Can Apple stop the Android Army's advances? Apple cannot win the smartphone wars, but it could dramatically slow Android's advances by taking a dramatic risk to its handset margins: offer a $99 iPhone 4 available globally, following iPhone 5's release. Such an aggressive pricing strategy could be enough of what Apple needs to win the mobile platform wars. It's all about Apple doing with iPhone 4 what it does today with iPhone 3GS on AT&T -- offer a cheap smartphone for people who want the device and user experience but can't pay $199 or $299. But the offer would have to be global. The discounted 3GS is 49 bucks, and AT&T advertises it quite aggressively here in the United States. Actually, I often see more TV spots during Prime Time for the 3GS than iPhone 4. Somebody must be buying it. When asked by a Wall Street analyst about iPhone 3GS sales during last month's fiscal 2011 second quarter earnings call, Apple CFO Peter Oppenheimer said "It was very popular, it did very, very well." Though he wouldn't give specific sales figures. But "very popular" and AT&T's aggressive advertising are answers enough. There's a huge market for a cheap iPhone -- and why not? Apple's pitch is all about the platform benefits -- the natural user interface and applications -- rather than better photo and video capabilities. Last month, Apple did something quite unexpected, by refusing to reveal average selling prices for iPhone, as had been customary. During last month's earnings call, COO Tim Cook said that Apple wouldn't reveal ASPs because competitors could benefit from the information. Oh yeah? Why now? Android's advance -- now 400,000 activations a day -- is one very good reason. Another: Samsung, which is an Apple partner and competitor, moves forward with the Android army. Yesterday, Gartner said that first quarter 2011 was Samsung's best yet for smartphone sales ever. Microsoft's Windows Phone distribution deal with Nokia is another up-and-coming competitive concern. There may be another reason. The iPhone 3GS could be selling so well that it's impacting iPhone's ASP. During fiscal 2011 first quarter, iPhone average selling price was $626, which is within range of quarters going back more than 3 years. But what if the number is suddenly $600 or $580, say? That's information competitors would be interested in, and everyone would rightly look to the $49 3GS as major reason. Apple wouldn't want to spook investors, either, as they might perceive lower average selling price the wrong way. They might see lower ASP as sign of iPhone competitive weakness against the advancing Android Army. In reality, lower ASP would be sign of strength -- that the platform and brand are so appealing that many consumers would buy an older iPhone for much less. The lower-cost device opens up a new market for Apple. From both perspectives, Apple has good reasons to clam up about ASPs -- again assuming the 3GS is selling so well they're lower. Apple and AT&T started offering discounted, older iPhones after the 3GS launched -- for 99 bucks. But in January, the 3GS price dropped to $49. Earlier this week, Canaccord Genuity technology analyst Michael Walkley revealed that, based on retail store checks, the $49 iPhone 3GS outsells Android phones at AT&T. Qualification: The carrier doesn't yet carry that many Android handsets, at least compared to Sprint, T-Mobile and Verizon. Support for 4G networks will be the defining difference between the two models. People who want faster bandwidth and that can afford the smartphone supporting it will pay more. Mobile payment options (yes, I believe they're coming) will be another feature appealing to the spend-alot set. A cheaper iPhone 4 is more likely to keep consumers from buying low-cost Android handsets than iPhone 5. Apple can reach two important strategic markets -- those who want and can afford the hottest iPhone and those who want one but can't afford the newest, more expensive model. I would not price iPhone 4 at $49, however. Ninety-nine dollars makes more sense, because Apple hasn't tapped that price point in most countries and $49 really could cannibalize iPhone 5 sales. Either way, Apple is sure to sacrifice margins as iPhone's ASP falls. So what if it's $550 instead of $626 and Apple gains market share against Android. Apple isn't fighting a smartphone war -- this is a mobile platform war where iPad is the other hugely important device (and, of course, there's iPod touch, too). That people are willing to buy an older iPhone, granted for substantial discount, is testimony to the broader platform and also brand appeal -- whether applications or the supporting ecosystem of cases and peripherals. Just try to find cool cases for a Samsung Galaxy S class smartphone and you will be stymied compared to iPhone 3GS or 4. Choices abound for iPad, too. 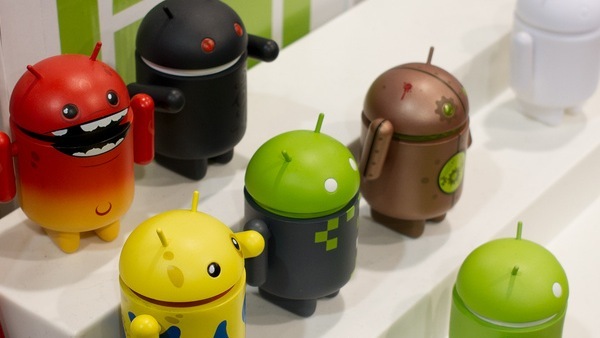 The Android Army is spread out thinly over too vast a territory, of which OS fragmentation is but one indication. If I was an Apple decision-maker, I wouldn't rush iPhone 5 to market, not while in several major geographies -- the United States being one of them -- carriers are in process of major 4G/LTE launches, but they're not quite ready. From that perspective, iPhone 5 in September or even later makes sense. Besides, iPhone 4 demand is still strong, globally, which is reason enough not to rush iPhone 5 to market. It's smarter business to recoup the initial manufacturing and distribution investments for as long as possible. But when the networks are ready enough -- and Apple, too -- iPhone 5 shouldn't come to market alone. Apple should let iPhone 4 be the loss leader, allowing more people to buy into the platform rather than letting them go to Android. Do you agree? Comments await your response.